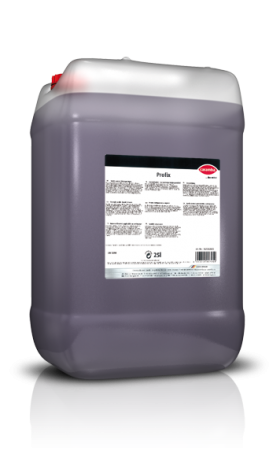 Strongly acidic cleaner for an easy descaling in catering and commercial kitchen areas. 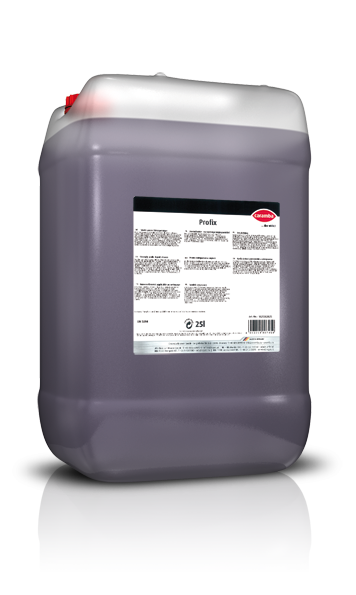 Removes residue-free rust, cement, lime and oil soiling as well as oxidic residues from tanks, production equipment, walls, floors, etc. As a spray cleaner, apply the product undiluted or diluted up to 1: 5 with water. When diluting always add product to water. Reaction time depending on the extent of soiling: 10 to 30 minutes. For the high-pressure process: pre-dilute 1: 1 to 1: 10 with water and fill this parent solution in the alkaline tank of the high-pressure unit. In the cleaning jet, the concentration should be between 0.5% and 5%. Rinse the spray and high-pressure equipment with clear water for approx. 2 minutes after use.